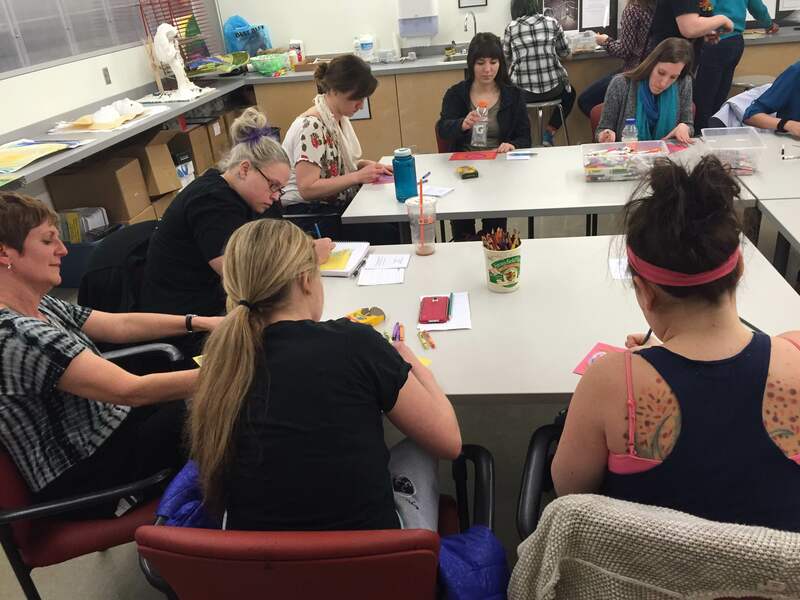 “Art is powerful because it can be seen and experienced intimately by so many people,” said Stacey McSorley, an art therapy major at Seton Hill University (SHU). McSorley took advantage of this power and used it to bring awareness to gender-based violence. “I try to live my life as conscious of the impact I have on others as I can, and I think a big part of living this way is accepting the responsibility to make efforts in improving society for everyone,” said McSorley, an art therapy major with a minor in sociology. 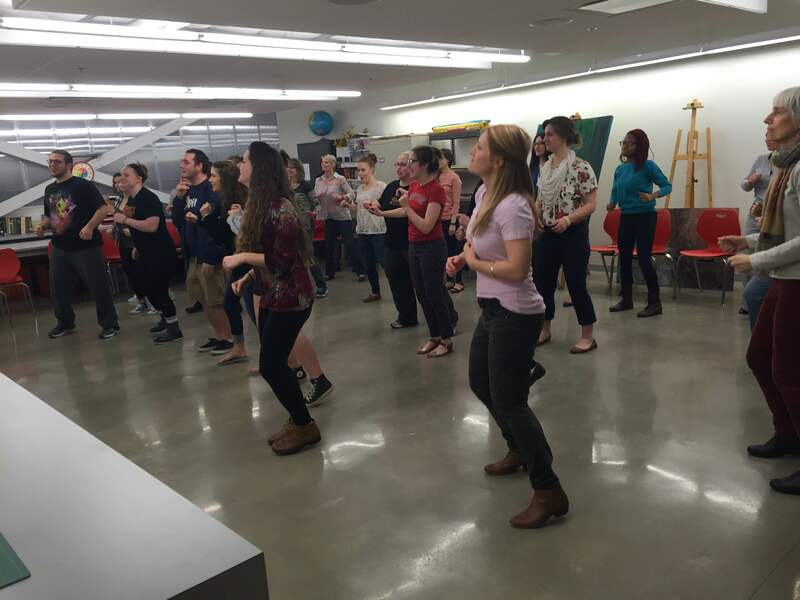 Roughly 30 students, faculty and members of the community gathered at the Seton Hill Arts Center for the Arts Igniting Program on March 9. 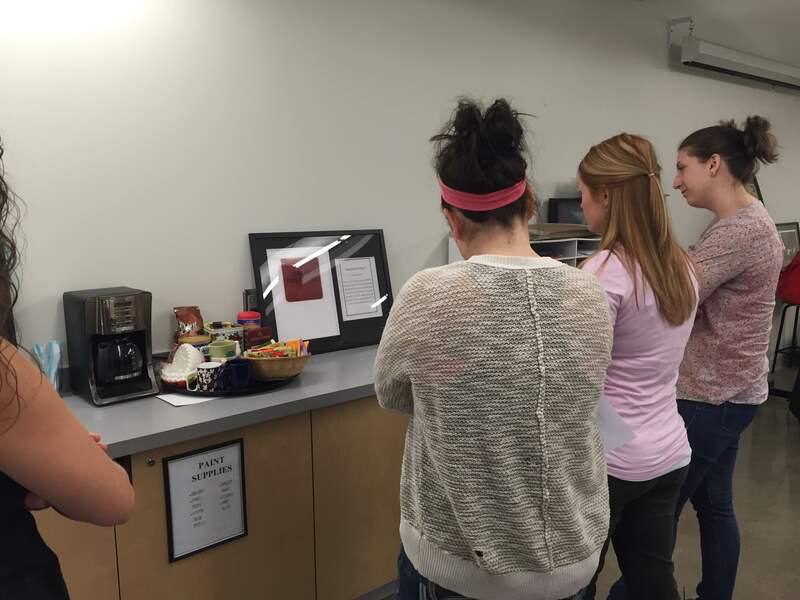 McSorley put together the program as part of her honors capstone project. The purpose of this event was to teach participants and have them engage in the power that all forms of art can have on creating social change. The event started out with participants taking a look at pieces of artwork paired with short narratives. This specific type of artwork is known as a PhotoVoice. McSorley explained that PhotoVoices work by gathering a group of people to discuss an issue, which they then create relevant pieces of art. The art is paired with a short narrative regarding the issue at hand. 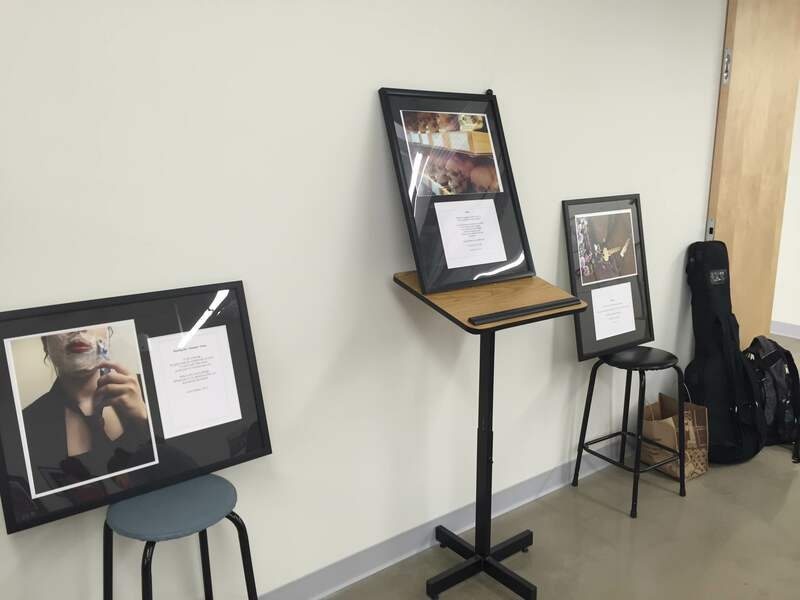 “They [the PhotoVoices] were used to inspire some thoughtful reflection before we dug into the more interactive activities,” McSorley said. Junior biology major Victoria Caruso felt “extremely inspired” by the artwork. “Images alone are emotionally provocative, but combining an image with the artist’s perspective on gender-based issues was very powerful in sending the artist’s message,” said Caruso. Another participant referenced a common quote. “They say a picture is worth a thousand words and I truly believe that,” said Kristen Watt, a second year graduate student in the art therapy program at SHU. After participants finished looking at and responding to the PhotoVoices, they gathered to learn more about what power art has on creating social change. A representative from the Black Burn Center, a non-profit organization dedicated to victims of domestic and sexual violence, spoke to the group about some of the facts and statistics of gender-based violence. She mentioned that 1 in 4 women are affected, as well as 1 in 6 boys by the age of 16. The Black Burn Center has a partnership with SHU through “The Star Project.” The program works to educate students about the issues associated with domestic and sexual violence. Each year the program hosts “Walk a Mile in Her Shoes,” an event where students, coaches, faculty and staff participate in a mile long walk wearing red high heels. The program ended with participants getting the opportunity to create their own artwork. Everyone was given a piece of paper to artistically express his or her own thoughts and emotions regarding gender-based violence. The pieces will be put together and hung up in Reeves Memorial Library. McSorley was very happy with the turnout of the program. “Everyone was very engaged and willing to participate, so it was an overall positive experience,” she said. 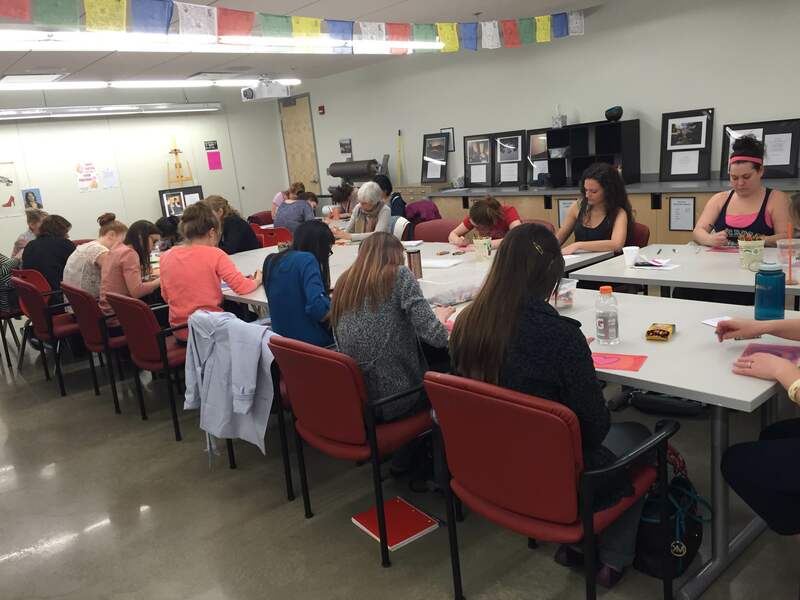 The art therapy program at SHU is a small, but growing field. Some of the older participants explained that art therapy did not exist when they were growing up. They agreed that art is a very powerful force and should be utilized more often. “Events like last night not only call attention to social issues such as gender-based violence but also to the impact of art and how art therapy can help others to grow and heal but also how It can teach and fight injustice as well,” Watt said. SHU alumnus makes it big with Tink!